How do I send an email? 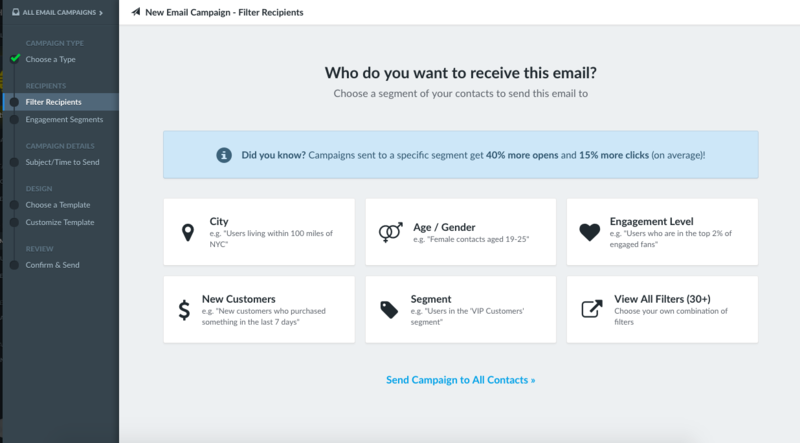 To send an email, click Email Campaigns in the left sidebar > Send New Email. From here, choose a choose a Marketing Email (One-Time) (more info on setting up Automated Emails here: How do I set up an automated email?). Next, you can choose segments to receive your email based on demographics, location, or pre-existing segments in Hive. The next step is to choose who to send to based on level of engagement with your campaigns. 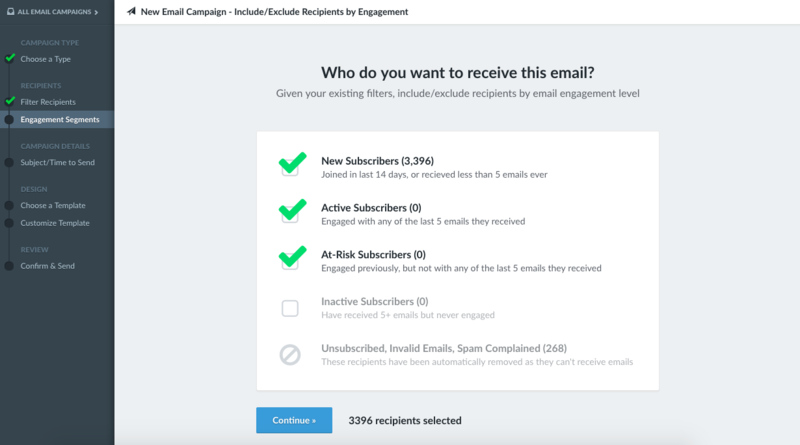 This lets you send well-targeted campaigns to your highly engaged subscribers and re-engagement campaigns to subscribers who haven't engaged in a while. Now's the time to choose your subject line, preview text, and whether you want to send your email immediately or schedule it to send in the future. If you schedule your email, you'll be able to see it in Email Campaigns > Campaign Status: Scheduled before it's sent. Then choose your template. You can choose from templates already created, default templates in Hive, or start from scratch with different column layouts, plain text or HTML. If you're already happy with your template, use this step to send a test email by clicking Send Test Email or preview the email in your browser by clicking Preview Email. If you're starting from scratch or tweaking some details, use the drag-and-drop editor to change formatting. Here you'll see a summary with all the details of your email. 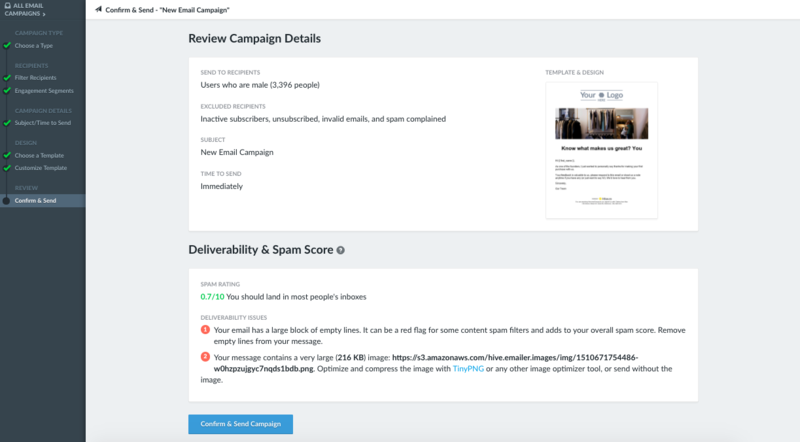 You'll also see suggestions from our spam score calculator of best practices to get your email in your recipients' inbox. Find out more about your spam score here: What is an email spam score? That's it! Click Confirm & Send Campaign to send it off.